How to Start a Startup is a series of video lectures, initially given at Stanford in Fall 2014. Sam Altman, President of Y Combinator, organized and runs the series, and has made the series available for streaming here. 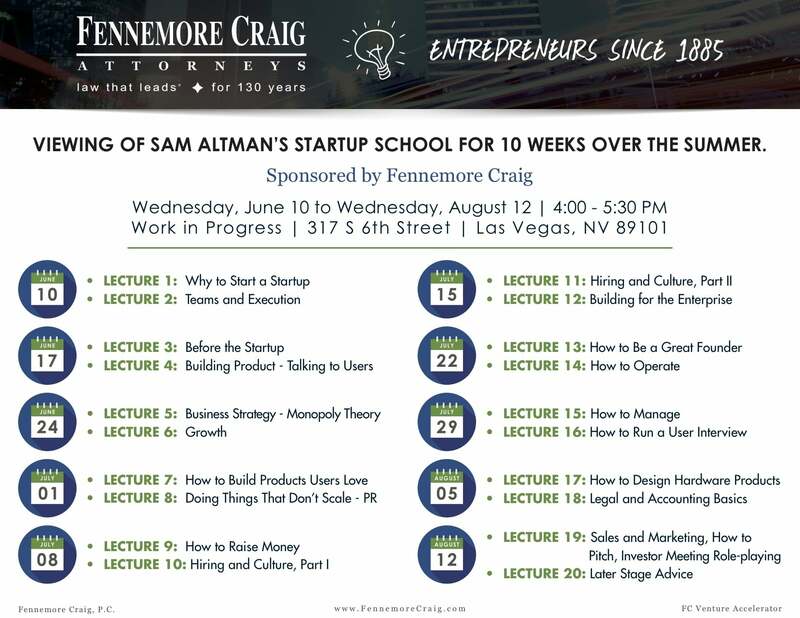 Throughout Summer 2015, Las Vegas entrepreneurs and startup community members are invited to a viewing of the series at Work In Progress in downtown Las Vegas. This series is sponsored by Fennemore Craig. Each Wednesday in the Garage from 4:00-5:30pm, lectures from the Sam Altman series will be playing. Those interested in watching can come every week and enjoy delicious snacks as they learn. Community members can also look through the lectures and attend those that pertain directly to current startup needs. Interested community members are asked to RSVP here in order to attend. Bacon says she and her Fennemore Craig team love working with start-ups. 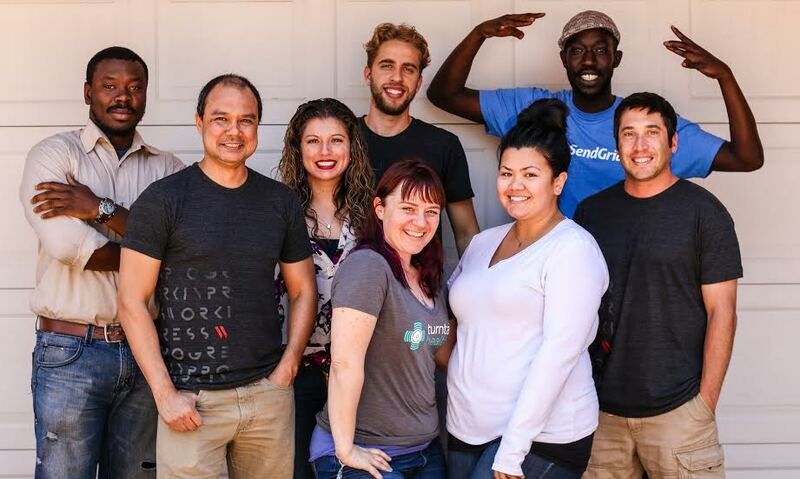 They are involved as coaches at Startup Weekend Las Vegas events, host office hours at Work in Progress, have donated over 100 professional hours to the Las Vegas Chamber’s Resource Bank, and hold position on Work in Progress’s Steering Committee (pictured below). To further help startups, the Fennemore Craig team recently launched the Fennemore Craig Venture Accelerator. One startup the new program has been able to help is Tom Typinski’s personal training platform, Peak Physique. Bacon says she and her team have helped Typinski gain access to vital legal services on a deferred fees basis.